At some point along the way of purchasing a property, you may have been made aware of a specific issue or defect. This might have been after a Valuation or Survey Report, or else perhaps you identified the defect yourself on a property that you already own and you want the issue to be professionally investigated. Either way, it can be beneficial to have a Specific Defect Inspection carried out on your behalf. What do Specific Defect Reports Cover? These detailed reports, which usually relate to a specific individual defect or a particular problem that has been observed in a property, offer a full diagnostic survey and defect appraisal based on the observations. The Defect Report also provides recommendations for the appropriate remedial action. 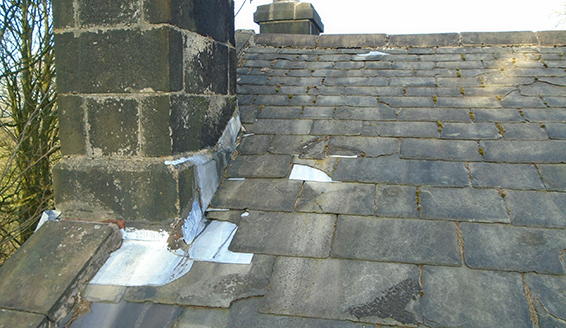 Typically such surveys could cover a serious structural defect such as cracked or bulged walls, sagging and uneven roofs, or dampness problems. These surveys are suitable for all types of property including residential and commercial buildings. Although finding out about a potentially serious defect in a property you want to purchase can be unwelcome news, there is little point ignoring the problem. A Specific Defect Report will arm you with all the information you need. The Lea Hough team carry out Specific Defect Inspections both on behalf of property owners and for prospective purchasers when a particular defect has been identified in a Valuation Report. For more information or to instruct us to carry out a report on your behalf, please contact our experienced team here.